One of the many things I love about my agents is that, when I tell them I want to do something, even if they think it might be difficult, the wheels start turning and they start planning how we can make it happen. And just such a thing happened in our strategy meeting earlier this week. As part of our discussion, the subject of my very public writing and its possible effects on my singing career came up. (I raised it). My agents sometimes retweet my posts, so they are not at all against my writing or its content; but there's no question that the mere fact that I write my personal, unpaid blog and a column for Classical Singer Magazine colors the way some people in the business see me, especially if they have never heard me sing or seen me perform. I'm not famous but I am certainly well-established. It seems unlikely that someone who wasn't serious or able would be able to say that about their career. The issue is not so much publicly expressing admittedly strong opinions; it's the mere fact that a professional singer with respected and sought-after management (if I say it as shouldn't) dares to do anything publicly other than sing. There's a prejudice against this in the industry; an idea that, unless you're near the end of a very successful international career, you really shouldn't be doing anything professionally other than singing and maybe teaching a few lessons or giving a few master classes here and there. Somehow, if you aren't singing ALL THE TIME you aren't serious, or successful, or something. Producers aren't the only ones guilty of this belief; we singers spend a lot of time aggrandizing our workload for the benefit of colleagues, as well. And so what happens is that singers lie. We feed the illusion to the general public, to the producing organizations, to the agents, to each other, and even, in a way, to ourselves. When it comes to putting on our singing faces, we're all supposed to pretend that these other lives do not exist. Anyone in the entertainment industry has had, at some point, a day job; and I would venture to say that the vast majority of performers regularly engage in a variety of activities to make ends meet. Years ago, when I was in Phantom of the Opera out in LA, our orchestra musicians spent their days teaching or playing studio gigs, and many of them played jazz gigs after the show and subbed with the Philharmonic or another area orchestra. I've been told that Ethel Merman didn't quit her secretarial job until after her second Broadway show turned out to be a hit. And there are a number of well-known opera singers who take, or took, day jobs between their high profile gigs. 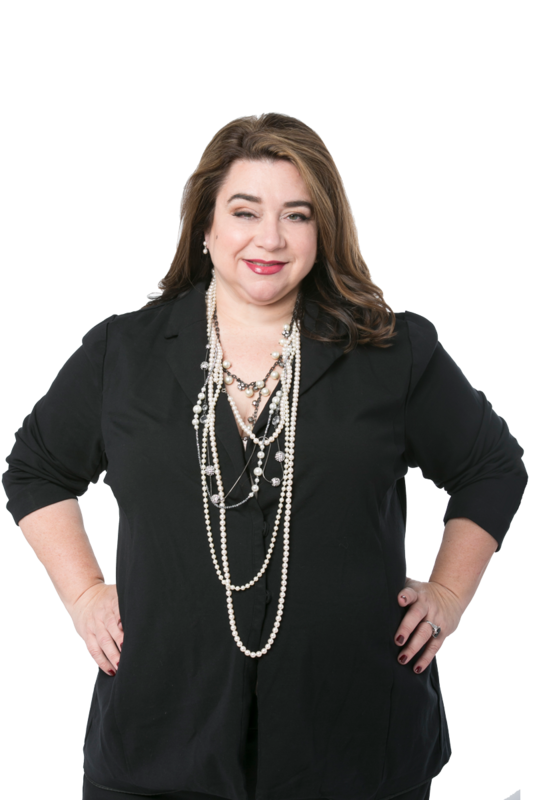 Sopranos Lauren Flanigan, and more recently, Erika Sunnegårdh, have both been very frank about their day jobs --- Flanigan famously worked her office job on the very day of her New York City Opera debut and apparently continued to temp between singing engagements. Sunnegårdh made her operatic debut on the Metropolitan Opera stage, stepping in for an ailing star, while she was still working one of her various jobs (waitress, tour guide, caterer, cantor). Tenor Carl Tanner worked as a truck driver and bounty hunter after conservatory, and got his first big break when he was heard by Richard Gaddes of Santa Fe Opera while working his singing waiter gig. It makes for a colorful story, but it's only Hollywood-fabulous if you end up on one of the great stages. Otherwise, day jobbing and the singers who do it are looked down upon. In fact, when I inquired of a members-only online singers group for names of other prominent singers who were known to work day jobs between gigs, the initial reaction was "almost everybody does it, but nobody is going to want to publicize that"! "I started a new admin job the day I had to solo the Mozart Vespers at Alice Tully, and I worked until 2 the day I debuted at Carnegie Hall," wrote Marcy Richardson, a soprano friend of mine whose many talents include opera, cabaret, dance (including aerial hoop and pole), and teaching; she holds a 9-to-5 day job as well. 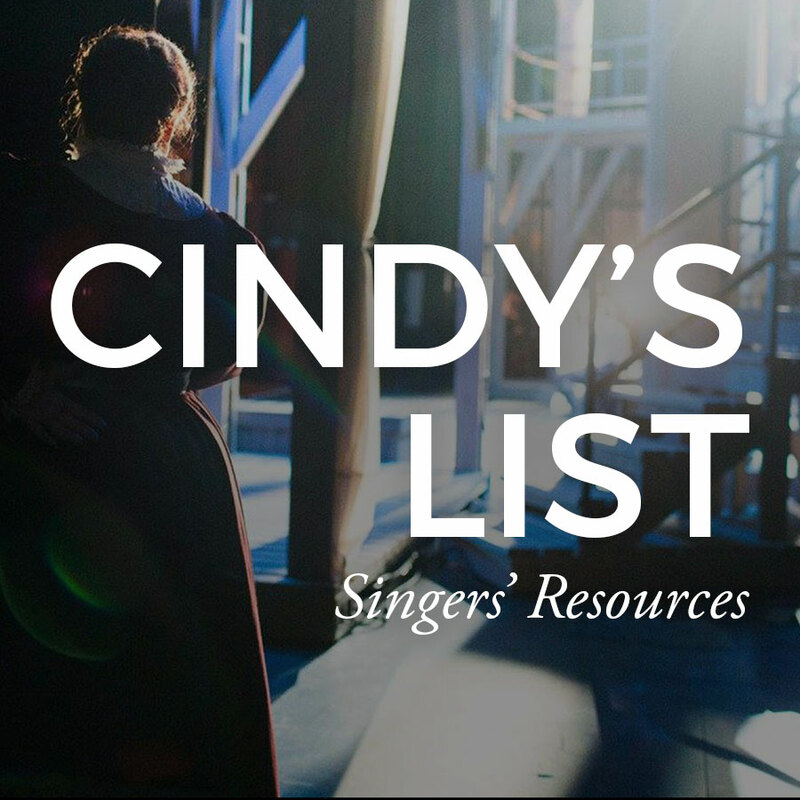 "For every singer I know who says, oh yes, that is ALL I do, I just sing--if they aren't singing at the Met, they are partnered, and their partner has a job." She turned down an in-town gig last year because the producer expected her fulltime commitment for two weeks and refused to give a rehearsal breakdown --- after taxes, the fee covering that time commitment would have been less than minimum wage. She was willing to do it for the fee, but needed to keep working a day job in the meantime to cover her expenses. The producer wasn't willing to budge, so Marcy passed on the gig. "I can't pretend I don't need to do something else to support myself, and obviously I am not somehow less awesome than someone who doesn't supplement their income, because you wanted to hire me above everyone else who auditioned for the role," she shrugs. Another friend, who preferred not to publish his name here, added, "This is a Catch-22 situation. We downplay what we really have to do as singers to get by, which allows agents and artistic administrators to believe a fantasy. And then they use that delusion to discriminate against the people who don't like to lie and conceal what ought to be obvious. Telling the truth gets you in trouble and lying makes you miserable." Stories from other singers kept coming --- their own, friends and colleagues they know about, some famous, some not. The fact is, the business has changed a lot in the past few years. Singers with A-house credits take roles at regional companies to fill in their schedule gaps; instead of hiring established professionals for smaller roles, companies will often use students or locals who may be less experienced in order to save money; seasons and runs are both shorter; very few companies doublecast anymore. Many of my colleagues who sing leading roles and have many major credits have expressed nervousness over the fact that opera companies aren't hiring as far in advance as they have been used to. It's scary when you have a family to support and bills coming due, and your engagement calendar looms empty six months down the road. But one thing stays the same: singers keep living their secret lives away from the stage. 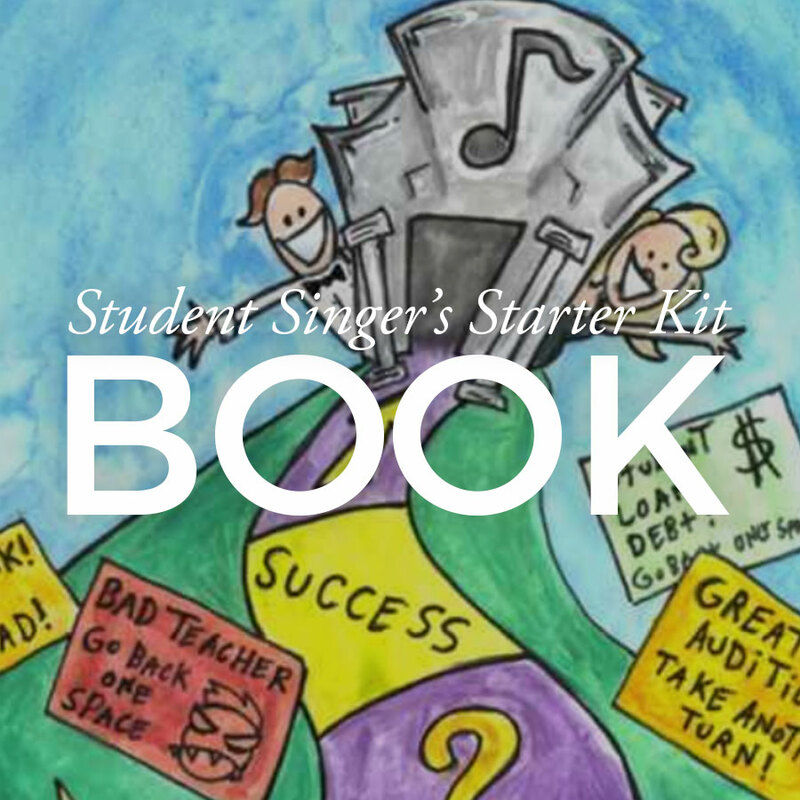 We joke about supporting our "singing habit" but the fact is, the vast majority of professional singers (and this is probably true of professional musicians in general) make their living in multiple ways. We teach, privately or at a university; we do voice-over and commercial work; we direct or sing in church choirs; we have various part-time jobs that can be done wherever there's an Internet connection. And some have regular 9-to-5 jobs and gig as they can. I'm lucky that I was able to quit an adjunct university position to fulfill my singing engagements, and that the majority of my income from singing. 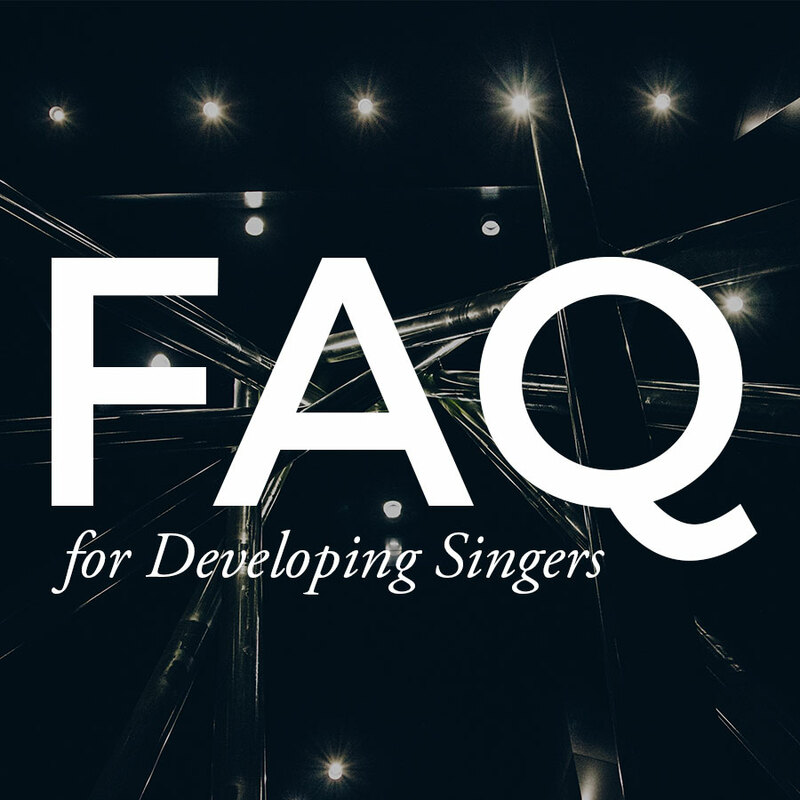 But of those who believe that non-singing activities somehow diminish one's viability as a professional singer, I ask two questions. First: If your reservations stem from a belief that singers who don't sing for 100% of their income are not serious, I ask how much more serious must one be, when these people are arranging their entire lives so that they can sing whenever possible? Second: In light of stories such as Lauren Flanigan's, Erika Sunnegårdh's, Carl Tanner's, and others, how can you be certain that that tenor catering your daughter's wedding and that mezzo scheduling your lawyer's appointments aren't fantastic performers --- unless, of course, you take a chance and hear them?